Harrison Ford once said “I think retirement’s for old people.” Well, 85 is old, so if he were in any other job but the Papacy, Benedict XVI’s announced resignation would be the furthest thing from surprising. But the fact is that popes don’t resign; the last one to resign the office was Gregory XII in 1415, and he was forced to resign to end the Western Schism. To find the most recent unambiguous example of a pope who resigned his office voluntarily to spend the rest of his life in peace and quiet, we have to go back to Celestine V in 1294, who held office for only about 5 months before getting the heck out of there. Presumably the once and future Cardinal Ratzinger will have a more pleasant retirement than Celestine, who died in captivity after being imprisoned (and possibly later murdered) by his successor. But abdications that appear to be truly voluntary are, needless to say, unique in history. There is one case, however, of an abdication that not only seems to have been voluntary, but that involved a return to power that was effectively involuntary. 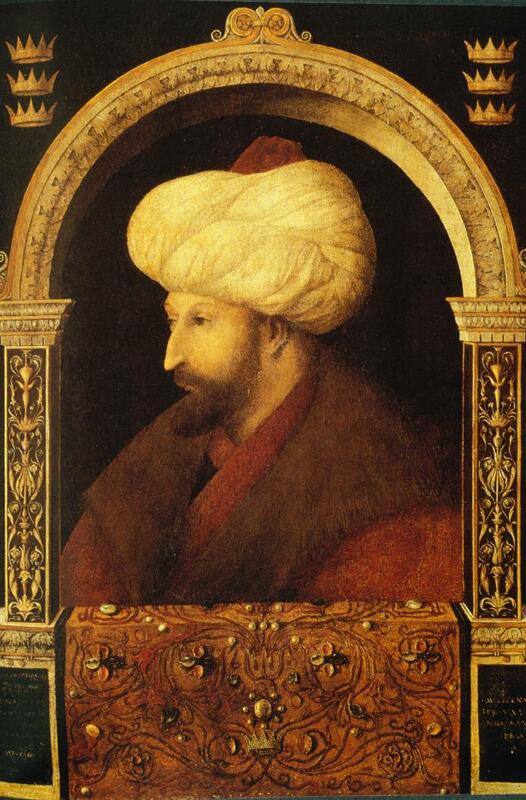 The Ottoman Sultan Murad II (d. 1451) reigned 1421-1444 and again 1446-1451. His father, Mehmed I won a civil war to reunite the Ottoman Empire after it had been crushed and broken up by Timur at the Battle of Ankara in 1402, but he died before full reunification was complete. As a result, Murad spent most of his reign at war either seeking to regain lost territory or to defend his gains against external enemies who believed the Empire was still weak. He first had to deal with one of the claimants for the throne who had been defeated by his father, then besieged Constantinople but abandoned it to retake some troublesome principalities in Anatolia. He defeated the last serious Ottoman rival in Anatolia and conquered considerable territories in the Balkans, including Serbia. By 1444, the Empire largely resecured and actually expanded from what it had been before Ankara, Murad abdicated in favor of his son Mehmed II (d. 1481) and retired to live quietly in southwestern Anatolia. There is no evidence that this was anything but a voluntary abdication. Murad may have wanted to oversee the transition to the new Emperor to avoid the internal struggles that generally accompanied Ottoman successions after the death of a Sultan, and he may simply have been tired of ruling the empire and doing almost nothing but fighting for over two decades. Unfortunately, for Murad, his retirement from public life lasted from 1444 all the way through 1444. A crusader army under the Hungarian general John Hunyadi threatened the Empire, and there was palpable anxiety in the Ottoman political and military elite, presumably at the thought of facing a large Christian army with the untested Mehmed in command when his very tested father was still alive and well. It seems that no one quite knew how to approach a situation when a ruler voluntarily stepped down; was he “ruler emeritus”? Was he still available if the Empire needed him, or was he to be forgotten or ignored? Mehmed himself, no dummy, realized the problem, and wrote to his father insisting that he return and command the army against the Hungarians, finally (after Murad initially refused) writing a letter that read “If you are Sultan, come and lead your armies. If I am Sultan, I command you to come and lead my armies.” Thus stymied, Murad did return, and led the Ottoman forces in a decisive defeat of the Christian forces under Hunyadi’s command at the Battle of Varna in 1444. So retirement, not so much. 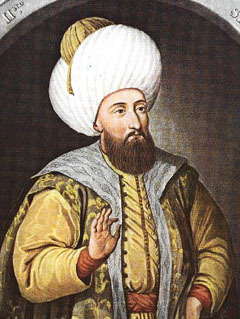 By 1446 he was officially Sultan again; the Ottoman Grand Vizier (think Prime Minister) Çandarlı Halil Paşa arranged it because he had a personal rivalry with Mehmed’s tutor and was thus not a favorite of the young, now former (and future) Sultan. Murad defeated the Christians again in the Balkans, then turned east and defeated Timur’s son and successor in eastern Anatolia, annexing two more Anatolian principalities in the process. He died as Sultan, the thing he had hoped to avoid when he abdicated, in 1451, but Mehmed resumed the throne without incident. As for Mehmed II, his second go as Emperor was pretty successful. Today he’s known as Fatih Sultan Mehmed, or “Sultan Mehmed the Conqueror,” because after almost 900 years of trying, it was Mehmed who finally led an Islamic army to conquer Constantinople in 1453 (executing Çandarlı Halil Paşa right afterward, by the by), and put an end to the Roman (Byzantine) Empire. Next: Next post: horse: it’s what’s for dinner?